I was surprised by my sweet husband this weekend as he helped me lug the bunkbeds to their new home downstairs and sent me off to IKEA to buy the frames for the bargain desk tops I found on Kijiji over a year ago. 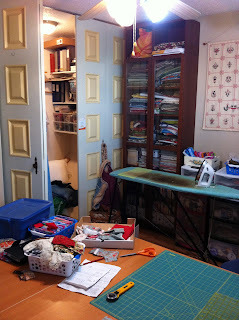 The end result is a room just for me - a sewing studio with a huge table for spreading out fabrics and cutting boards. There's still some fine tuning to do, but that will come as I use the space and figure out what works and what doesn't. 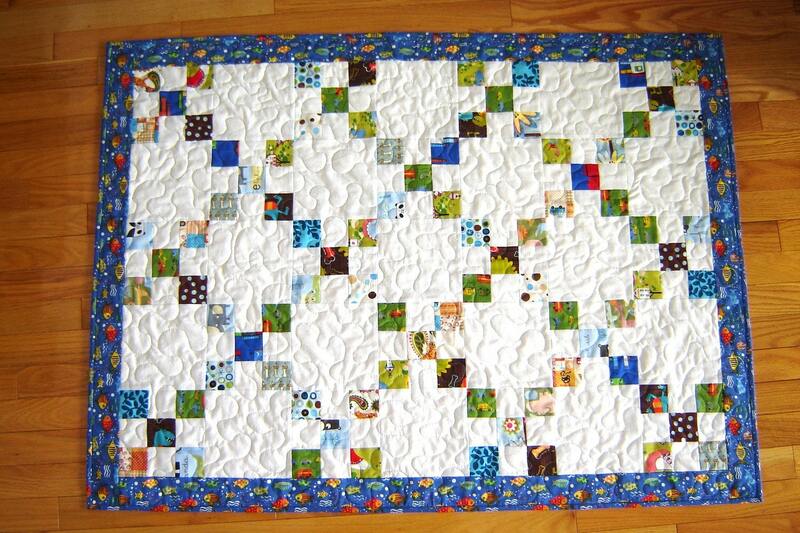 And in cleaning up, I checked my inventory for the coming fall season and found a spot that I couldn't quite get rid of on one of my baby quilts, so it's reduced in price from $110 to $60. 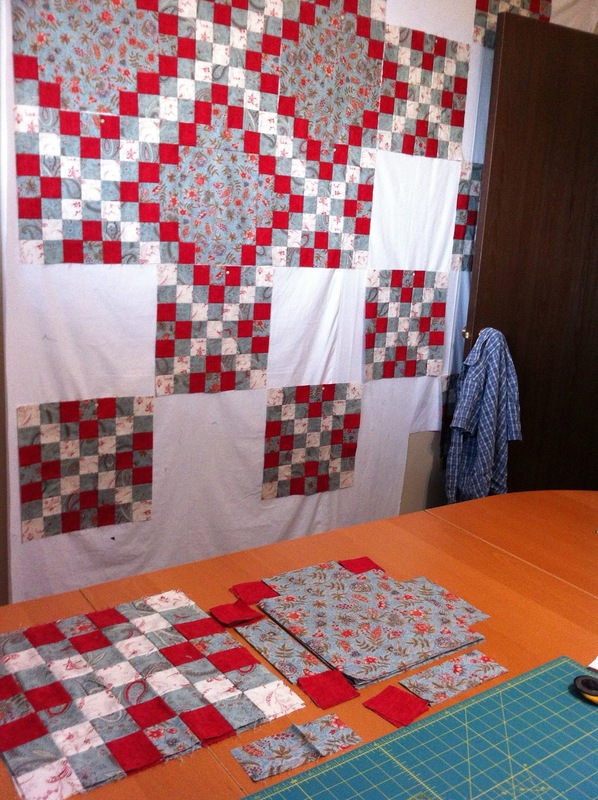 The spot will not affect wear and may disappear over a few washings. Price Reduced from $110 to $60 - Buy Here! I found a few more things in my cleaning up, so you'll be seeing them over the next little while. Lovely space..you will be very creatively inspired now! Great space and all for sewing. Now how fast can it get messy. My friend just came over and could not believe how messy my place is.